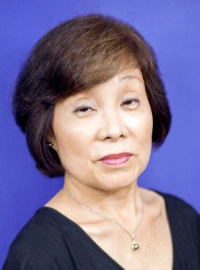 A down-to-earth person, Setsuko is reliable, trustworthy and detail oriented when it comes to paperwork, such as contracts and escrow transactions. Originally from Fukushima, Japan, she graduated from college in Tokyo and worked as passenger service personnel, taking care of VIPs and making FLT Information announcements at Tokyo International Airport. This job experience made her interested in travelling to Hawaii & the mainland USA. Setsuko settled in Hawaii after briefly living near Century City, CA. Her past clients include Caucasian, Japanese, Korean, Philippine and Vietnamese. Setsuko specializes in seniors and baby boomer generation. She enjoys aerobics and music. Neal Diamond is her favorite singer and loves to spend time with 6 year old granddaughter.